Sign up for Broadjam today to follow Samir Hayek, and be notified when they upload new stuff or update their news! 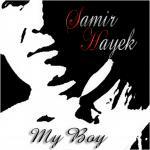 MY BOY The album was released in May 2004 so it is now available for sale, All songs are self-composed, arranged and recorded by Samir Hayek. Once you own this CD you will never regret the day you bought it, because each and every song is so beautifully written, and the sound is amazing Be a proud owner of "MY BOY The Album"
The song My Boy is a warm and affectionate song, when you listen to it, it goes right to you heart, it is all because of the beautiful arrangement that have been added to the song. The song My Boy was written especially for my first son, every single word in the song is dedicated to my son. I wrote the song Loco to justify my love in a crazy way, towards my girlfriend. the song is very rhythmical, lively and dynamic. I am a very dynamic person and I have a spanish background so, I said to my self why not composing a Latino song. From the album?The Best Of Me? ?LOCO?Samir Hayek??(Intro)? ?Oye chiquita que estoy aqui?No me dejes bonita Estoy loco por ti?? (Verse 1)? ?Chiquita dame, dame, dame ya tu amor?Damelo ya me estoy volviendo loco? ?Chuiqita dame, dame?Dame tu corazon?Damelo ya me estoy sufriendo??(Chorus)? ?Loco, loco loco - ayay yaya yay?me vuelves loco?Loco hay, loco loco - ayay yaya yay?me vuelvo loco?? (Verse 2)? ?Chiquita dame, dame?Dame ya tu amor?Damelo ya me estoy volviendo loco? ?Chiquita dame, dame?Dame lo por favor?Dame lo ya me estoy halucinando??(Chorus)??(rapping)?? ((Chiquita chiquitin chiquitita chiquita?Dame dame dame, dame dame dame?dame tu amor ya? ?Chiquita chiquitin chiquitita chiquita?Dame ya tu amor que tequiero mucho ya))??(Chorus)?? 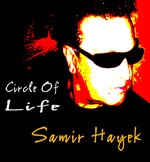 FREAKY LOVE?Samir Hayek??(Spoken)? ?Freaky love, Freaky love I don't want it I don't need it?Your love is a Fake and I don't have to take it anymore, (Oh no no)?You're always foolin´ around never being honest to me?That´s why I call you freaky love freaky, freaky love??Verse1?? (If you wanna see me) (If you really need me)?If you wanna see me cry (It's alright babe)?If you wanna draw a line (Between us , I don't mind)?But if you wanna spread a lie about me and say:?I'm just pretending? ?- Chorus -? ?Freaky love, Freaky love, Freaky love, Freaky love? ?Freaky love (I don't want it)?Freaky love (I don't need it)?Freaky love (I don't get it)?Baby you're a hypocrite, Baby you're a fake??Verse2?? (If you want a real love) (If you really need love)?If you wanna hold my hand (Come on and do it babe)?If you want me to be your man (I'll be the only one)?But if you wanna spread a lie about me and say:?I'm just pretending? ?- Chorus - ??(Spoken)? ?I feel confused I don't know what to do?Want you stop playing with my heart?and change attitude about me, you and this freaky love? ?Let's get together, Let's straighten it out right now?Let's get together, Let's straighten it out right now?Let's get, get, get, get....get, get together right now?? ?